Hello, Job seekers, here are UPPCL Recruitment 2019 updates for a job opportunity in Uttar Pradesh. Uttar Pradesh Power Corporation Limited, Lucknow invites online applications from the eligible and deserving candidates. The final date for online registrations is updated soon. All the necessary details are being given here. Read the job details carefully and start applying. The Recruitment Advertisement has been issued by well-known organization Uttar Pradesh Power Corporation Limited, Lucknow. For the current year, there are various vacancies AE, JE, Stenographer Grade-III and Office Assistant Grade-III posts. Desired participants can follow the detailed Notification given here and start filling their Online Application Form. 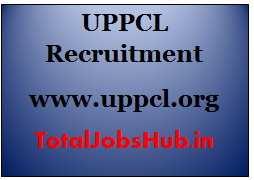 UPPCL Recruitment AE JE Online Registration can be done through an updated link mentioned in the last segment of this page. As per the recent Government Jobs Notice, this is to hereby inform all the career-seeking candidates from UP, that they need to check the further details before applying. All the informative points are marked in the following sections. Follow the information regarding UPPCL or Assistant Engineer, Junior Engineer, Office Assistant, Stenographer, and get to applying before the deadline day. All the online applications will be accepted prior to the deadline date, which is updated here. Look for UPPCL Recruitment 2019 Notification eligibility criteria, educational qualification etc. in the downward section here. Latest Updates: UPPCL Online Application form for Assistant Engineer, Junior Engineer, Office Assistant, Stenographer Posts now started. Interested Candidates can Download the Notification & Apply Online from the link given below. Applying candidates must be from India. Applicants, who are interested in applying, must have completed their graduation from a recognized University or Institution. For both the jobs aspirants are mandatory to have computer knowledge with accurate and proper Typing speed. As on 1st July, applicants’ minimum age should be 21 years while the maximum age should not exceed 40 years. For candidates belonging to the General and OBC categories, the application fee is Rs. 1000/- and for SC/ST candidates, it is Rs. 700/-. Applicants will have to clear the written test, which will further be followed by an Interview later. For all the aforementioned jobs, applicants will be awarded Rs. 5200/- to Rs. 20200/- with the Grade Pay of Rs. 2600/- after the appointment. On the Homepage of the site, find the Latest Recruitment-related notice. Get to it and read the instructions carefully before applying. Start fresh registration for the above-stated posts. Fill your accurate personal, Academic, and professional details in the application form. Upload the images of your Passport sized photograph and signature in a specified format. Complete your form filling process and pay the requisite fee amount. Finally, verify all the entered details and submit your data. Get it printed and keep a copy of it safe for future needs. Those candidates who wish to apply for this notification must keep in mind that UPPCL Application Form 2019 has been discharged for Junior Engineer, Assistant Engineer, Office Assistant and Stenographer posts in a little while. As we probably know up to 12000 opening is ready to issue by UPPCL Recruitment 2019 and a colossal number of competitors is all set to apply for it. The competitors previously filling the form are encouraged to experience the guidelines deliberately because this year department will change some rules and regulations. Subsequent to filling all the essential data, the candidates need to transfer photos and signature. The Online Application Form Submission has been begun online in a few month.